Conversational lounge areas are trending around the world and are topping décor lists for 2018, but what’s the best way to create these with minimal hassle? In fact, it’s easier than you think. Simply incorporate a few pieces of furniture and arrange them the right way and ‘there you are’. We have explored our four favourite ways so you can get started. 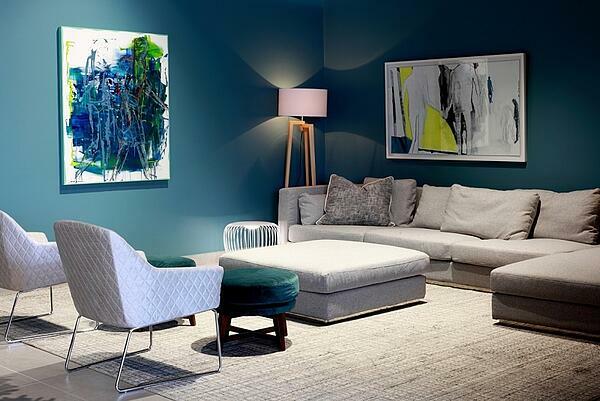 Creating those conversational areas should be anything but daunting, in fact, it should be fun getting your lounge ready for guests to engage and enjoy those much-loved conversations, without anyone feeling left out. Bear in mind that coordinating the right furniture in the right way also celebrates the coming together of people in the home and helps to create personalised interior spaces. Pair a Brooklyn sofa with two occasional chairs and your living area will ‘shout’ on-trend and contemporary. Together these pieces of furniture create that ideal conversational area easily. And when guests arrive, engaging will come naturally and be hassle-free. Strategically placing two sofas right opposite each other helps to create the ultimate conversational area in your lounge or dining room. The Laguna sofa is the perfect piece for this. 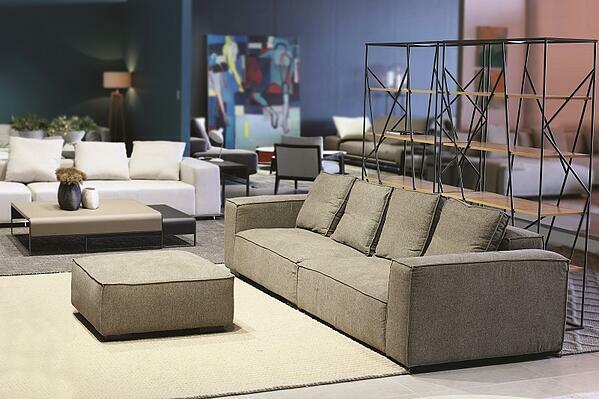 Simply select a two and three seater sofa, place one opposite the other and your guests will be able to converse comfortably without shouting from across the room. But remember to allow for enough space between both sofas for easy movement. The general rule of thumb is to place the the coffee table within about 35cm to 50cm, assuming that you will have a coffee table between the sofas. For a smaller than usual indoor area, consider a curvy sofa that enhances the space and ensures guests feel included in the conversation. Pair such a sofa with a low nesting table and your lounge will tick those décor boxes. A sectional sofa paired with an occasional chair is just the right fit for an indoor conversational area. Ensure that the two pieces face each other so that guests can converse and interact, and your job will be half done. And guess what? The layout needn’t be straight - arranging furniture pieces at an angle works just as well. Remember you should always be mindful of the available space, and how your furniture fits that specific area. If you have a larger area that means you have space with which to play with, but with a small space, you need to be more strategic and choose the right pieces in order to fit the area and not make things look cramped. Balance is key. Why not CLICK HERE TO check out our look book for some inspirational layout ideas.